Golden Triangle ToursOffering great deals on Golden Triangle for best destinations in India! Someone has rightly said, "The Golden Triangle is a classic introduction to India". 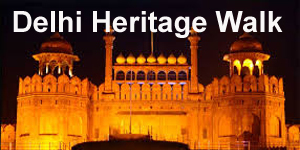 It comprises of Delhi Agra and Jaipur - 3 cities that have had a great history. This tourist circuit has been dubbed "golden" for the extraordinary wealth of cultural and historical splendour on offer in each of the three cities. There are many package options of exploring the Golden triangle. Please let us know your travel requirements and our experts will help you exactly the way you want!